What is 8 more than 10? This is required. How much of your website is dedicated to fixed-ops? 5%, 10%... Less? Comes a FREE eBook on How To Generate More Leads and Increase Your Bottom Line Through The Use Of Digital Media. 40% of automotive searches are looking for service, parts, and maintenance… how much of your dealerships website is dedicated to fixed-ops? 5%? 10%? Even less? Service shoppers research throughout the year with online activity growing year-over-year 16%, 2010-Sept 2011(Google). What does that mean? It means that your service and parts departments should be taking advantage of the ever increasing number of your future customers looking for you online. Are you there when they look? Are you taking advantage of digital fixed-ops? 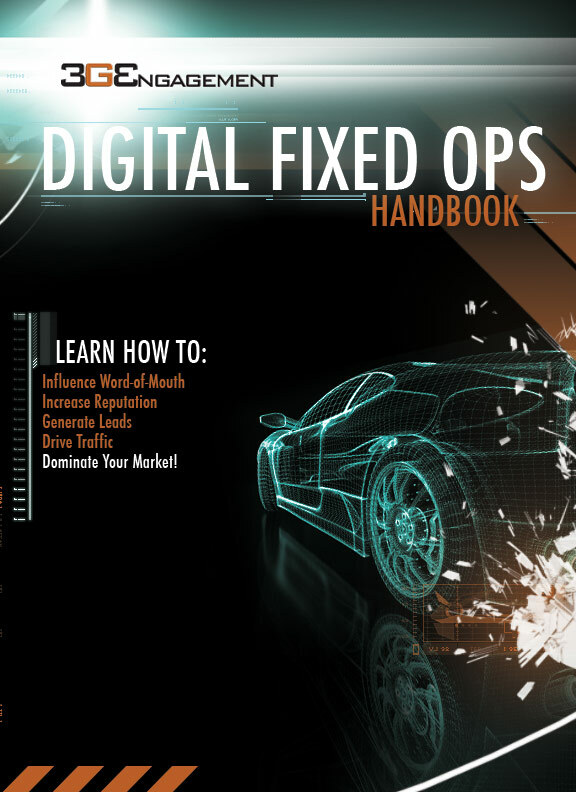 If not then you should register for your FREE copy of the Digital FIxed-Ops Handbook. It has everything you need to compete and profit online. Tired of being beat by your dealership competitors? What about the independent shops? With fixed-ops being the profit backbone of the dealership, it’s imperative that you learn how to leverage the power of your website to drive more traffic and convert more leads. How to create more leads, more phone calls and more walk-in traffic! How to attract customers that are looking for service using search engines. How to develop an online marketing plan. How to increase your reputation and drive word-of-mouth. In a recent study, JD Power found that a customer who sets an appointment for service through an online form spends more money, per year, that a customer who simply walks into the service department or calls you on the phone. Are you ready to harness the power of digital fixed-ops like never before?